• Final Fantasy IV: (also known as Final Fantasy II for its initial North American release) is a role-playing video game developed and published by Square (now Square Enix) for the Super Nintendo Entertainment System platform. Released in 1991, it is the fourth main installment of the Final Fantasy series. 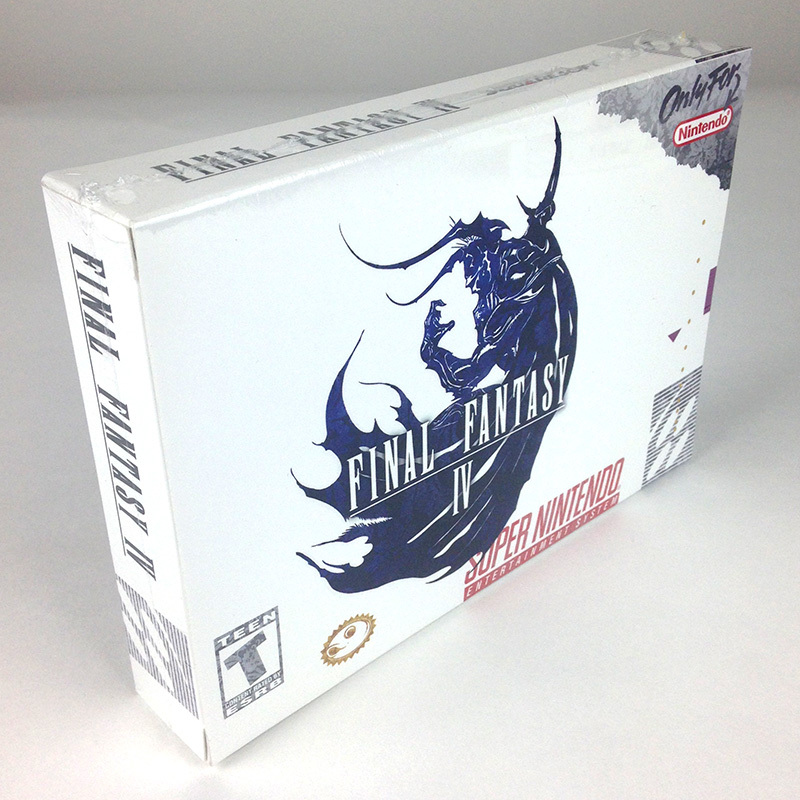 Final Fantasy IV introduced innovations that became staples of the Final Fantasy series and role-playing games in general. Its “Active Time Battle” system was used in five subsequent Final Fantasy games, and unlike prior games in the series, IV gave each character their own unchangeable character class. Final Fantasy IV introduced Square’s Active Time Battle (ATB) system, which differed from the turn-based designs of previous RPGs. The ATB system centers on the player inputting orders for the characters in real time during battles. The system was used in many subsequent Square games. Most of Final Fantasy IV takes place on Earth, also known as the Blue Planet, which consists of a surface world, inhabited by humans, and an underground world, inhabited by the Dwarves. An artificial moon orbits the planet, upon which the Lunarians live. The Lunarians are a race of beings originally from a world which was destroyed, becoming the asteroid belt surrounding the Blue Planet, and are identified by a moon-shape crest on their foreheads. They created the artificial moon, resting until a time when they believe their kind can co-exist with humans. A second, natural moon orbits the Blue Planet as well, although it is never visited in the game. Final Fantasy IV offers twelve playable characters, each with a unique, unchangeable character class. During the game, the player can have a total of five, or fewer, characters in the party at any given time. The main character, Cecil Harvey, is a dark knight and the captain of the Red Wings, an elite air force unit of the kingdom of Baron. He serves the king alongside his childhood friend Kain Highwind, the commander of the Dragoons. Rosa Farrell is a white mage and archer, as well as Cecil’s love interest. The Red Wings’ airships were constructed by Cecil’s friend, the engineer Cid Pollendina.